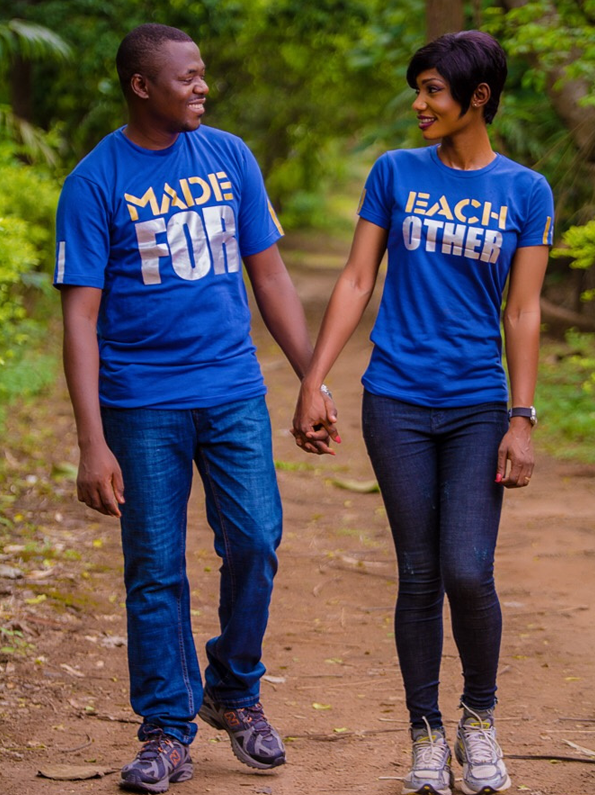 Matching t-shirts for couples are an easy way to make two lovers stand out from the crowd and show off their bond. There is a couple shirt design for every taste and budget, and here are our 12 favourite styles so far! Many matching couples shirts make sense only when the two of you are standing next to each other. 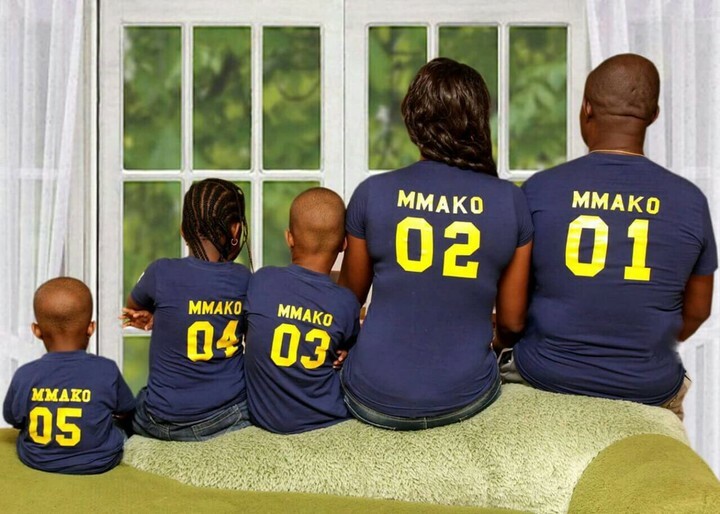 One of the best examples of this design is this set of t-shirts that spell LOVE any time you and your partner go out. 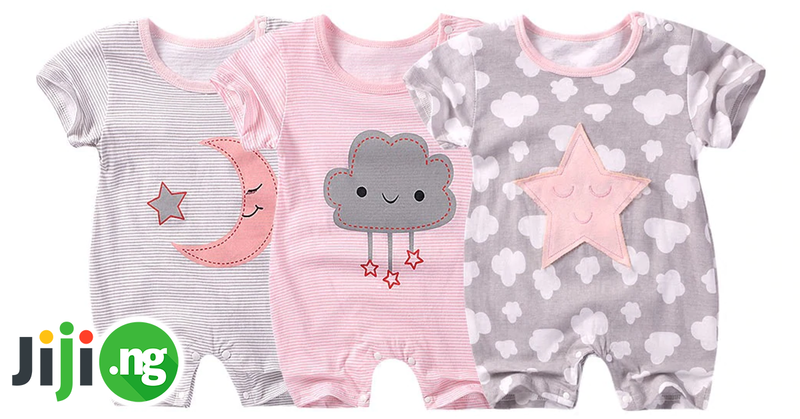 Plus, there are cute matching hearts underneath! 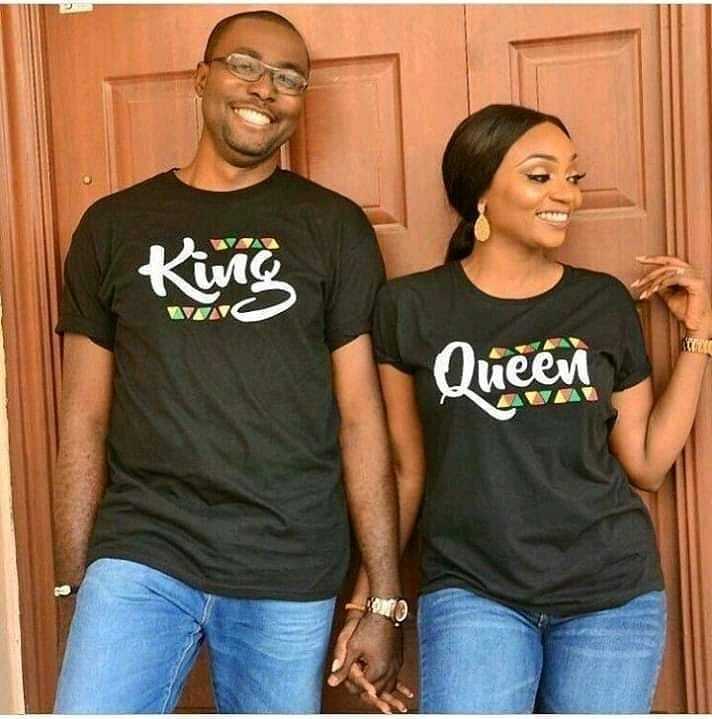 King and Queen t-shirt are one of the most popular types of relationship shirts – you have likely seen this design online or in the streets of your city. 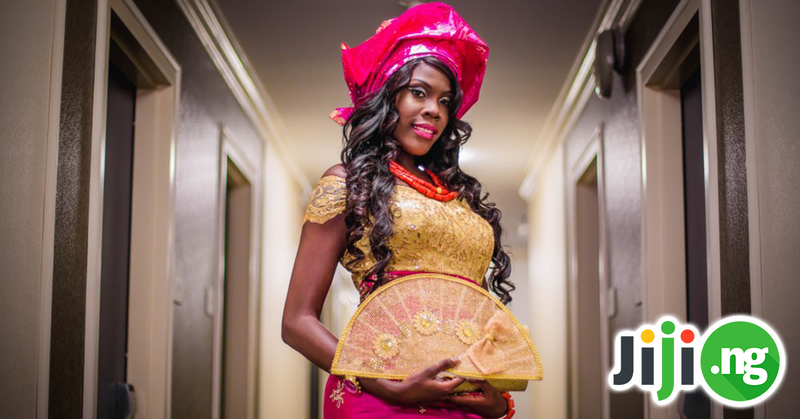 However, adding an authentic African print makes it clear that your couple respects its heritage. This type of couple t-shirt was popularized by numerous celebrities, but they also look fantastic on just about anyone. If your family has grown beyond two people, you can dress everyone in this design and show off your strong family bond. 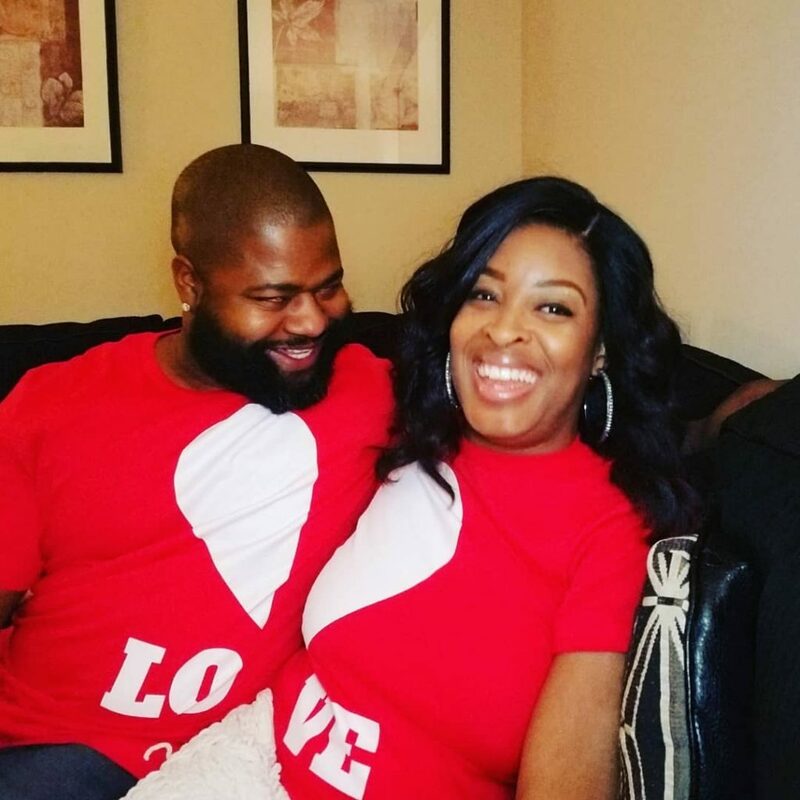 If you have just gotten married and want to shout it from the rooftops, there is an easier way to let the whole world know – simply wear a pair of cute couple shirts that reference the fact that you are newly married and couldn’t be happier! Here is another example of a matching couple shirt print design that you need to wear together for other people to get the message. 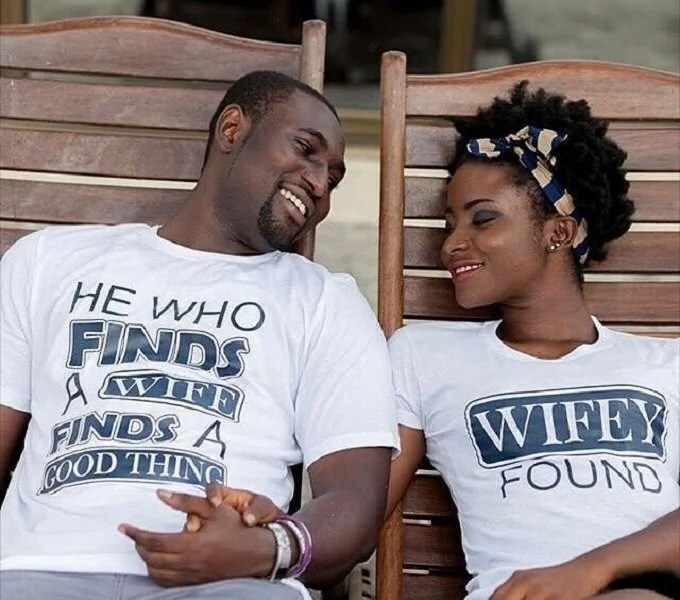 These t-shirts with popular sayings make great outfits for pre-wedding photoshoots and other romantic occasions. Most matching t-shirts for couples are lovely and very romantic, but sometimes you want to have a little fun with your matching outfits. In that case, here is a great option – a pair of t-shirts with a cheeky print that fits your personalities. The Mr. and Mrs. design, complete with images of lips and moustaches, has been all the rage at weddings for a few years now. You and your significant other can wear t-shirts with this print on your honeymoon, a couple’s vacation, or anywhere you go together! What can be more romantic than a pair of matching t-shirts with hearts? 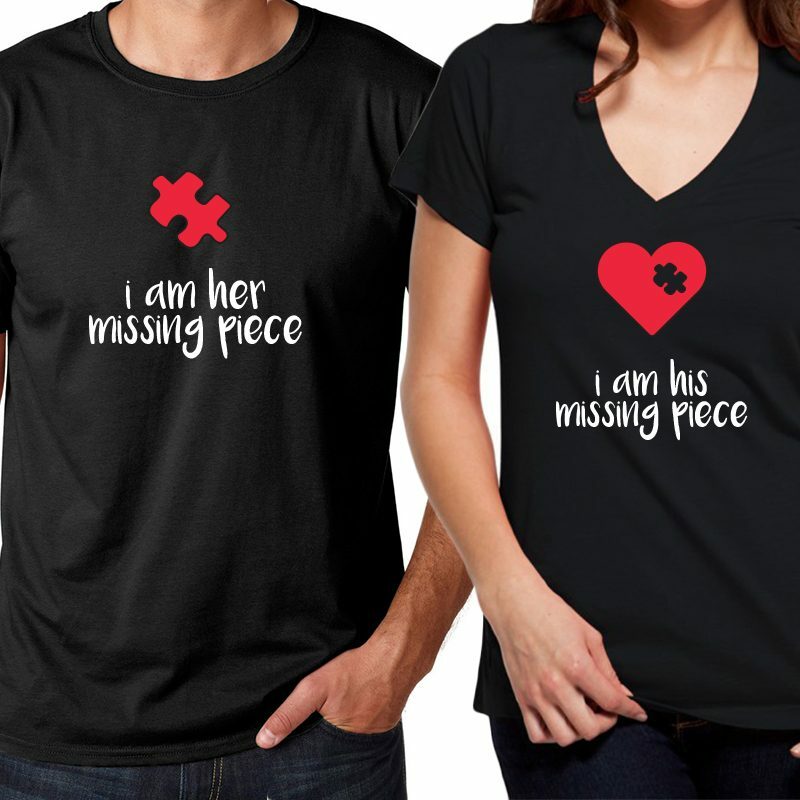 Only hearts with a missing jigsaw piece and a matching piece on the other t-shirt to show the whole world how your couple is simply meant to be! 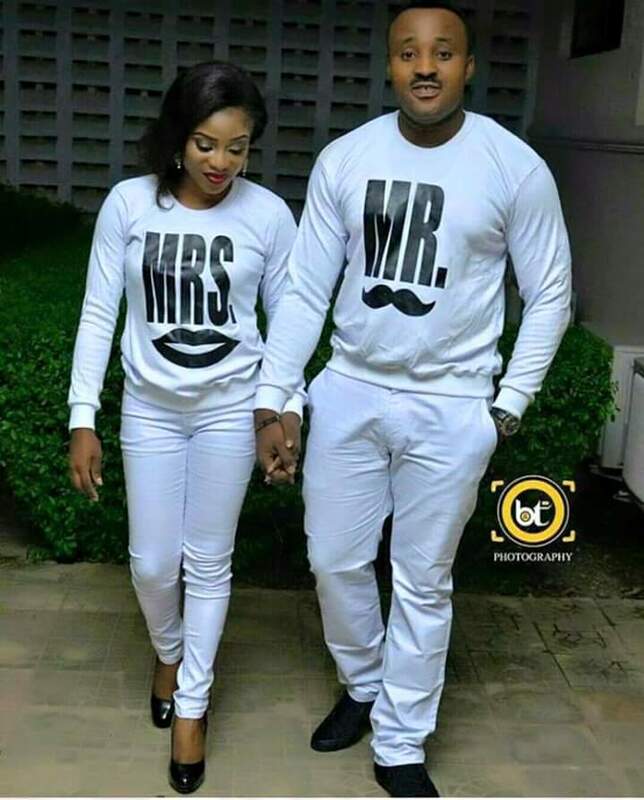 If you are young, in love, and have lots of swag, make sure your clothes help you broadcast the message! 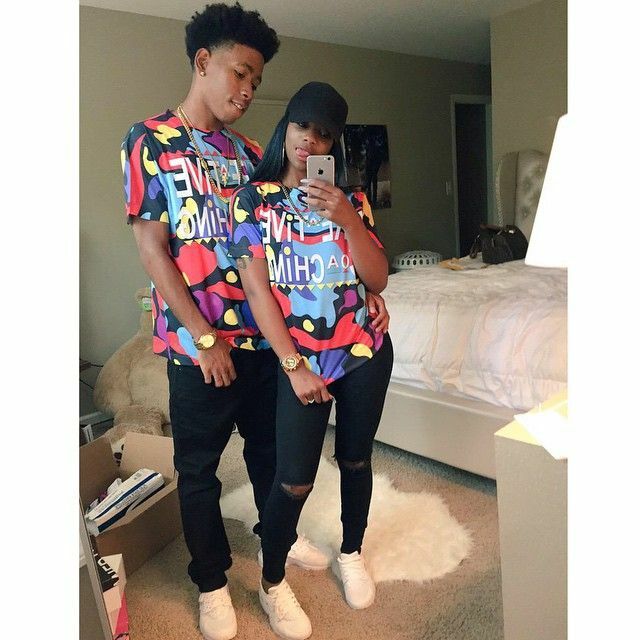 One of the most popular matching swag outfits for couples is a pair of t-shirts with a trendy print that look fabulous on young love! Everyone knows that a couple with similar interests is destined to stay together. 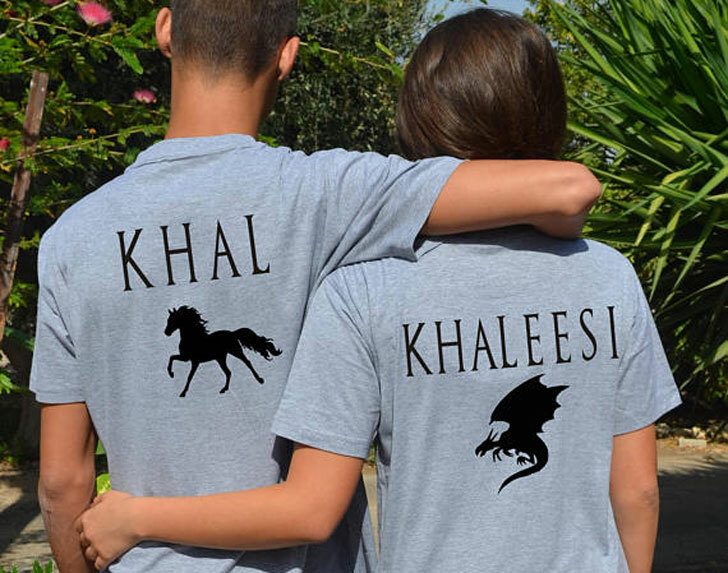 If your shared passion is a hit TV series Game Of Thrones, here is a great idea for a matching couple’s outfit – cute t-shirts for Khal and his Khaleesi. 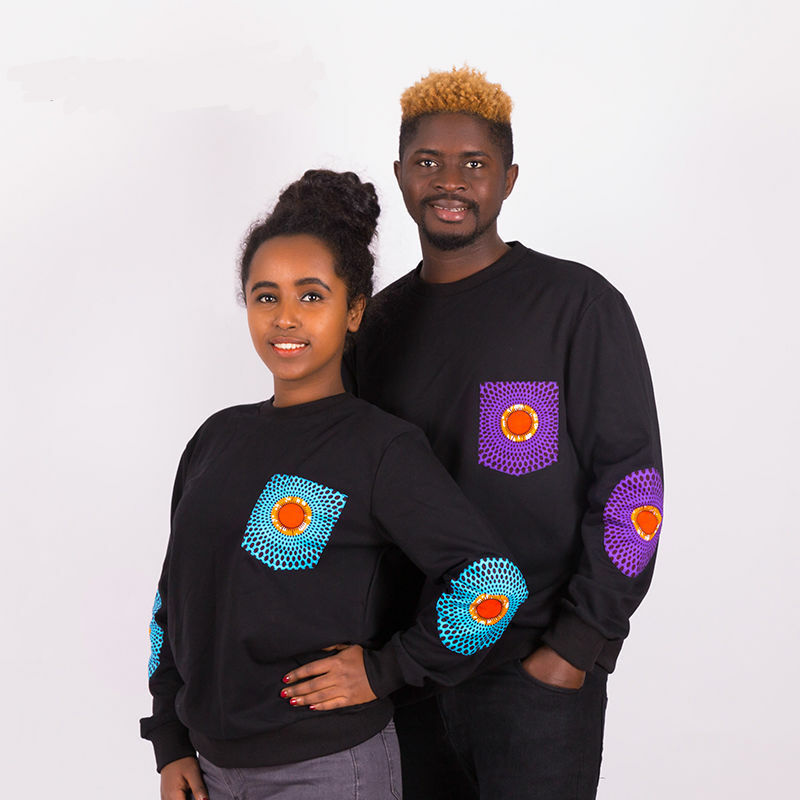 Two matching t-shirts are a great way to demonstrate not only your dreamy relationship, but also your love for native wear! 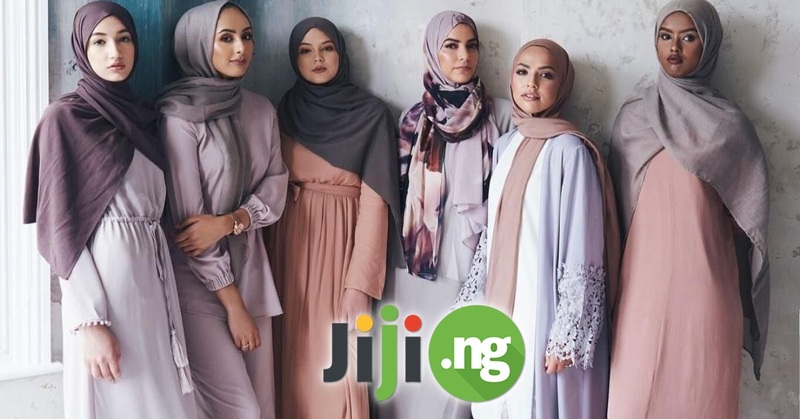 Ankara and modern t-shirt designs are a match made in heaven that looks amazing on both men and women. 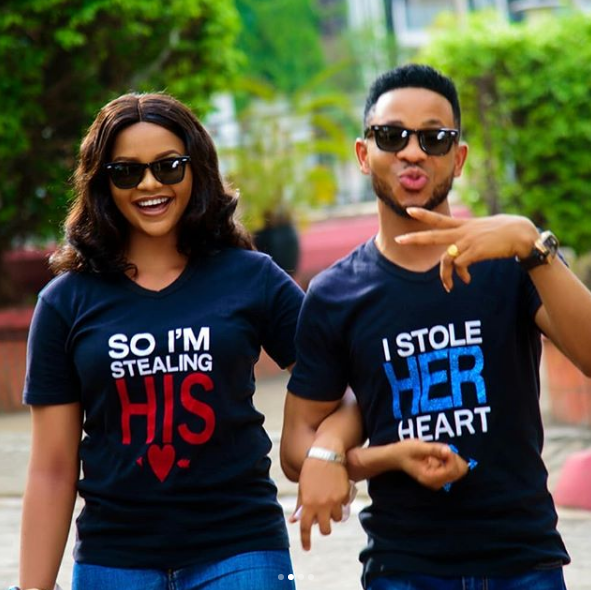 There are many ways to incorporate the trendy King and Queen matching t-shirt prints into your couple’s look, but if you want to also commemorate an important date from your relationship – for example, the year when you started dating – here is how you can do it!